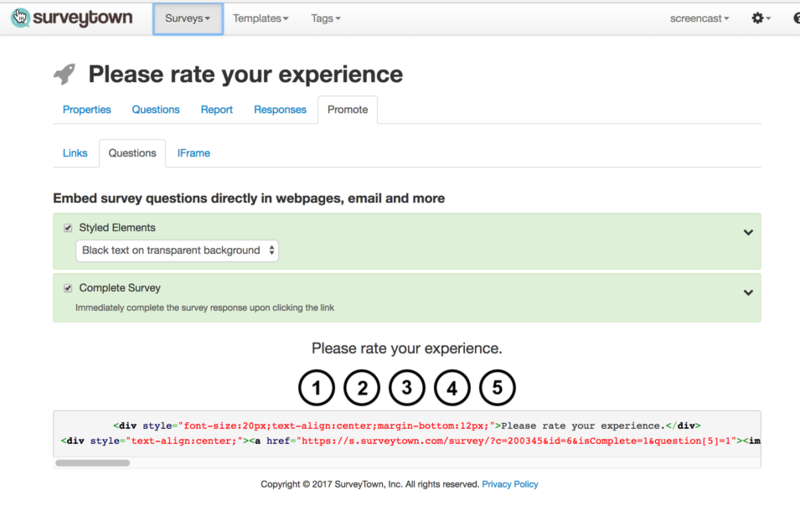 With SurveyTown you can EMBED a question in an email. If a question is embedded in an email, this allows the respondent to "one-click" reply to the survey question. Here's an example screenshot of a survey question embedded in an email. There are 4 different question types you can embed into your email campaigns. 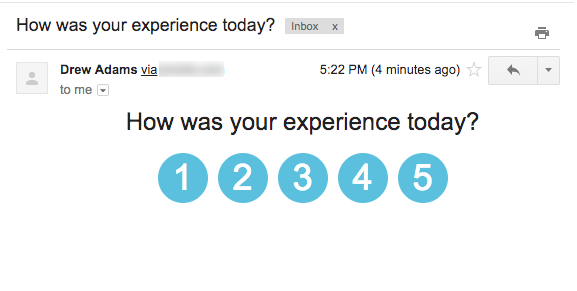 How to embed a survey question in an email. To embed an email question in an email there are two simple steps. If you click this option we will apply some styles to the questions so they have some default artwork. You can choose to uncheck this option and apply your own styles if you like. If you choose to complete the survey option, when a user clicks the link the survey will be submitted as completed and then the survey will assume the complete survey behavior set for the survey in the settings. (For example it will show the success page or go to a URL depending on your survey settings). If you leave it unchecked the customer will simply come to the survey with their selection pre-selected. Who does "Complete Survey" behave in a survey with multiple questions? Respondent is presented with full survey. When they arrive at the page with the question they clicked, their answer will be pre-selected even if its on a page after the first page.